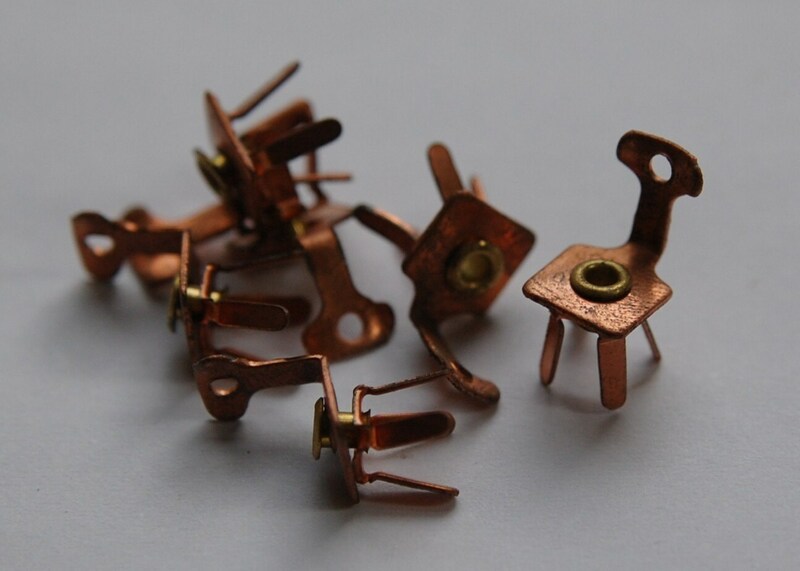 These are vintage copper charms. They are in the shape of a chair. The legs spin around on these. These are vintage and show some patina. They measure 16mm x 7mm. You will receive 6 of these. super cute , just what i wanted ! So cute. Great products as described and sent quickly. Thanks.